There are few places on Earth like Spain in the summer. Sea, sand and sun in plentiful supply, the coastlines of this Western European country are some of the biggest and most popular tourist attractions in the world. 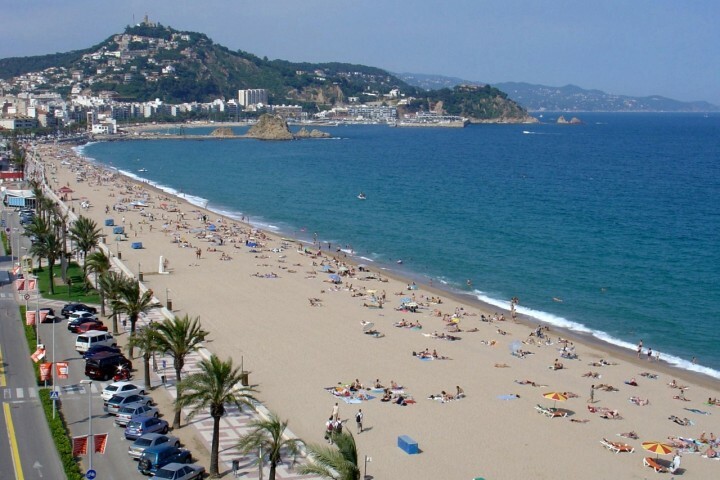 But aside from the stunning and varied spots offered up by the Costa Blanca, Costa del Sol and the northern Austurian and Basque beaches, there’s another great way to cool off with the crowds in the midst of the muggy months. How? Water parks. Spain has some of the most visited water parks on the entire continent. Here we take a look at some of the best ones, that way you’ll know exactly what they have to offer and exactly where to go. Although not on the mainland, Spain’s Canary Islands offer fantastic scenery and attractions that rival that of Iberian Peninsula itself. 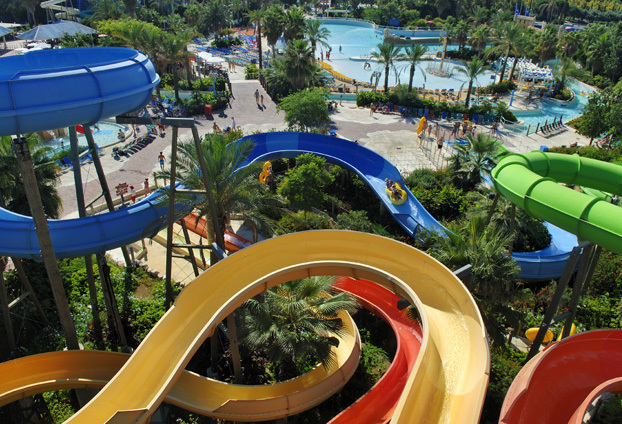 The water parks in Tenerife are a great day out with Siam Park, perhaps one of the volcanic island’s most popular attractions, open year-round. Modeled on Thailand’s paradise beaches, Siam Park is home to the biggest collection of Thai buildings outside the country itself and, unique for Tenerife, also features a floating Thai village where you can get a Thai massage. What’s more is that the water park also offers amazing Thai Food along with key attractions like the 28m free-fall drop the Tower of Power and Kinnarree, a ProSlide measuring 200m-long. Open in high season between May and October, Hidropark is another island-based waterpark this time situated in Spain’s Balearic destination Mallorca. The biggest on the island, Hidropark goes a little further than your typical water park to offer attractions like minigolf and underwater snorkeling alongside typical features like kamikaze slides, wave pools and deck-chair greenery. The first of our list of water parks that’s actually situated in mainland Spain itself, Illa Fantasia is in easy driving distance of Barcelona, one of the country’s best-known city destinations. A sprawling outdoor park with more than 22 rides and slides, like Hidropark before it, Illa Fantasia also has minigolf courses and wave pools, except they are centered around a pirate ship themed playground. Attractions-wise, this Catalonia-based park is famous for its super toboggans. Further south in Spain there’s also Aqua Natura, set in the surrounding area of Murcia city and one of the largest parks on this list at more than 30,000 m2. Aqua Natura also has a strong family-focused approach and features attractions catering to both children and adults in rides like Speed Hole, Adventure River, Kamikaze and Prison. Back in Catalonia head slightly to the north and you’ll hit the port city of Tarragona that faces out into the Mediterranean Sea. Home to two fairly popular water parks, visitors have the choice of Salou’s PortAventura Aquatic Park or Albinyana’s AquaLeon. Part of the PortAdventure group, Salou’s option as a huge number of rides and attractions as well as offering an additional visit to the PortAventure Park for more dry-based thrills. AquaLeon, on the other hand, is one of Catalonia’s largest recreational parks and combines both water and wildlife to offer safari and wildlife exhibitions on top of slides and pools. Save some extra money by utilizing Groupon Coupons!